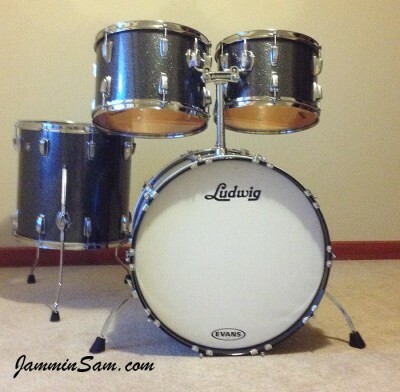 Pictures sent in (December 2012) by Keller Smith from Aurora, Colorado of his vintage Ludwig drum set. Great job Keller! 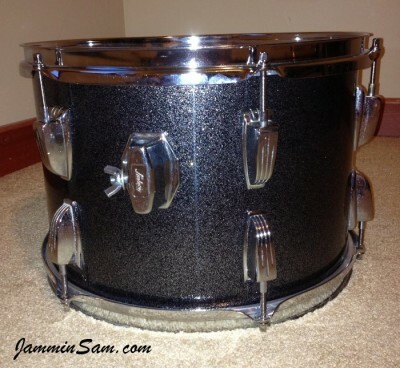 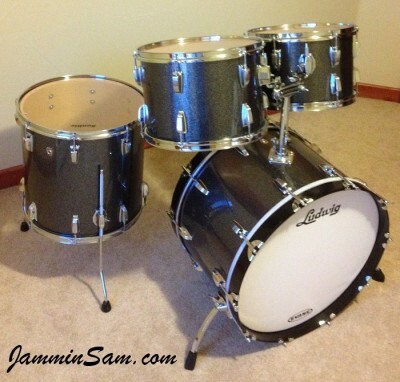 I recently ordered your JS Black and Silver Sparkle (formerly JS Black Sparkle) wrap for my vintage Ludwig drums. 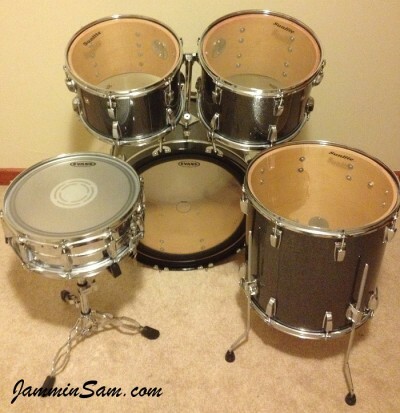 I also got bass drums claws/tension rods, and a few drum rims, and drum heads for my toms. They came extremely fast and where very easy to apply to the set.